This week the Art Pavilion in Mile End Park hosts an exhibition celebrating the life and work of Diana England, whose work in the East End of London has made an immeasurable impact on so many. 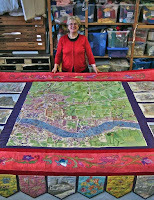 Starting in 1993, artist Diana England united over 3,000 people in the creation of The Millennium Tapestries. 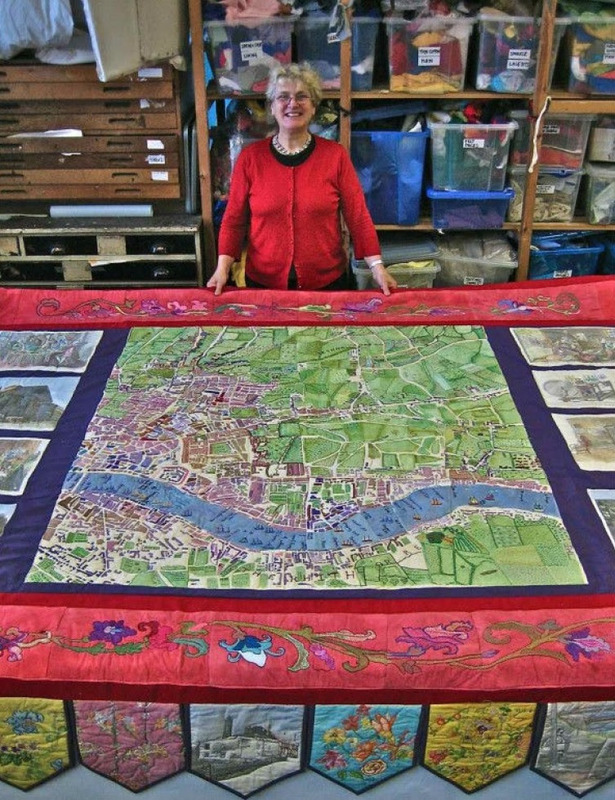 This project brought together Tower Hamlets residents to make 50 large textile art pieces, each hanging richly illustrating East London's social history. Over seven years, a mixture of ages, cultures and religions met at community locations to embroider, silk paint, screen print, dye and embellish. With titles like River Traffic Today, Rocque Map & Jewish Wedding, these pieces combine local history, textiles and community arts at its highest quality. As part of the exhibition, there will be a series of free, creative workshops which are open to all. 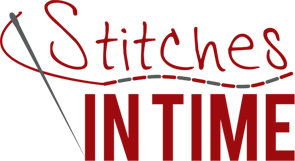 English for Sewing has been part of Stitches in Time’s core community outreach programme for over 15 years. Join us to learn English in a friendly and inspiring environment, and take part in sewing activities. Families are invited to take part in the current project by adding to Stitches in Time’s newest tapestry, The Mercers’ Map of Stepney. This is supported by ‘The Mercers Company’ and involves superimposing contemporary Stepney onto a historical map of the area. Something old, something new! Adults are welcome to drop in and add to the historically layered Mercers’ Map of Stepney. Ease those work-day blues! Come along and de-stress with some therapeutic embroidery. Art Pavilion hosts Stitches in Time: Tapestries for the Millennium (21-26th July. 11am-7pm), yayy this will be a great art event for all of us. Thank you for posting!